That’s how it all started. So romantic, right? A couple of texts, and then Brad came over and we were on our first date. Brad and I started off extremely passive. 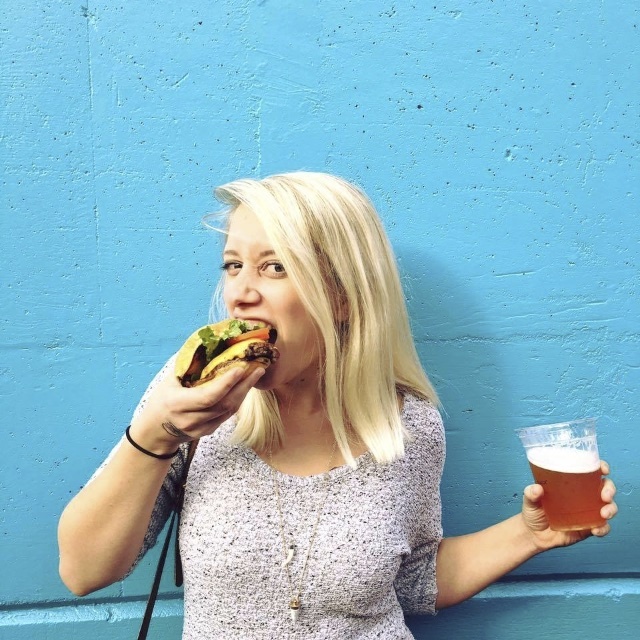 Our friend Sarah can tell you how we drove her crazy with our texting before we started dating. She’d be out with me and I’d be texting Brad the whole time. Then she’d be somewhere with Brad and he’d be texting me the whole time. But we never all hung out together. And Brad and I had never hung out outside of work. As much as Sarah tried. We just had our texting affair. His mom was in town for the week, and I think he at least waited until she went to bed to come over and carve pumpkins with me. I bought the pumpkins, he brought the carving materials. Which turned out to be a couple of steak knives and a pirate hat. We made it work. And that was kind of it for us. 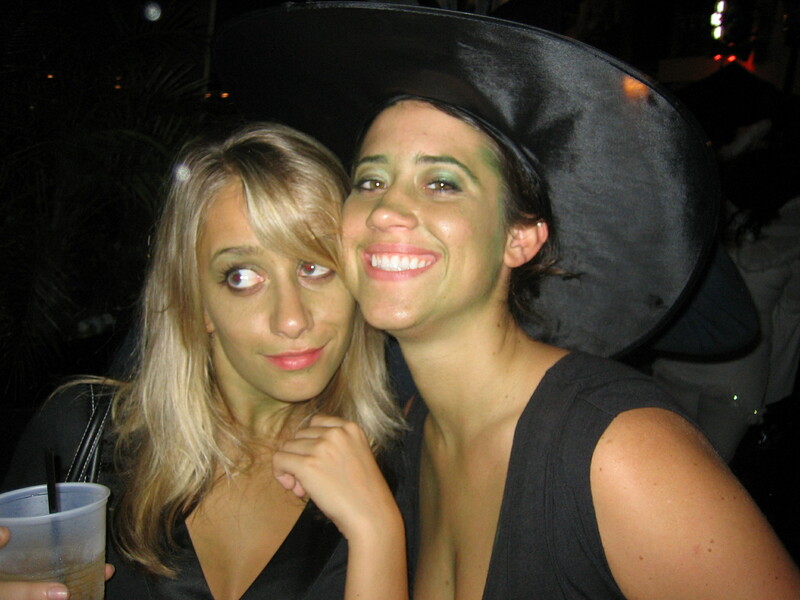 He even braved downtown Orlando Halloween and came out with us the next night when I painted myself and our friend Sarah green. Oh, and Sarah was very happy the texting affair was over. So every year since, we’ve carved pumpkins on October 30th for our first date anniversary. It’s usually the day that we realize Halloween is coming up, we are way behind and we should probably have a pumpkin. 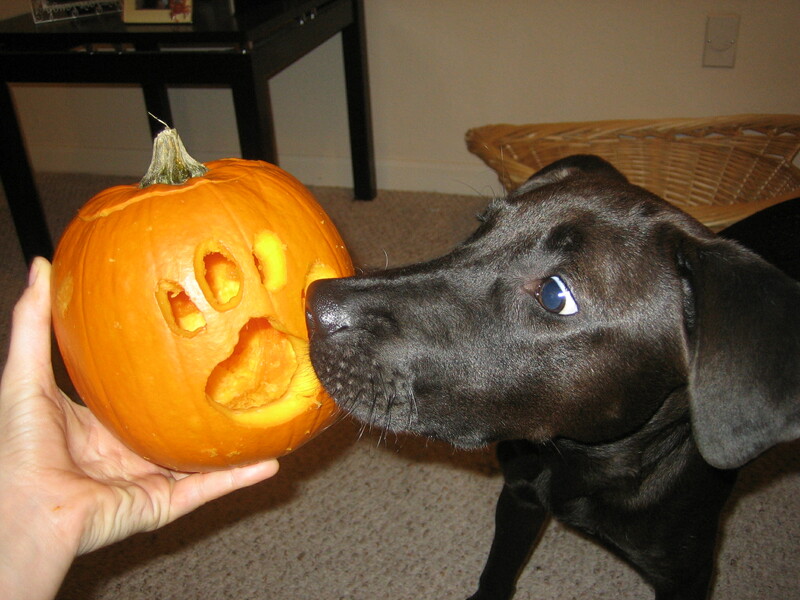 And of course once we got Gibson, she got her own pumpkin every year, too. We’ve gotten pumpkins from grocery stores, farmer’s markets, fancy pumpkin farms, and city corner pumpkin patches with Pony rides. In Florida, New York, and California. In four different apartments. 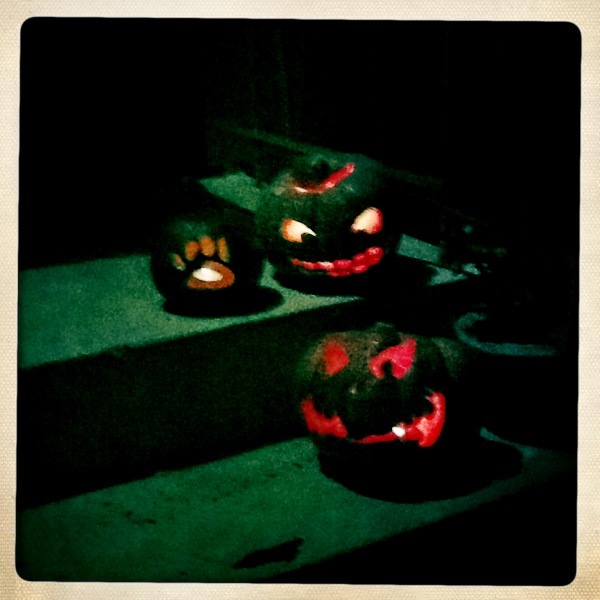 And last night we basically stumbled off of a flight from Elmira to LAX and carved pumpkins on half an hour of sleep. 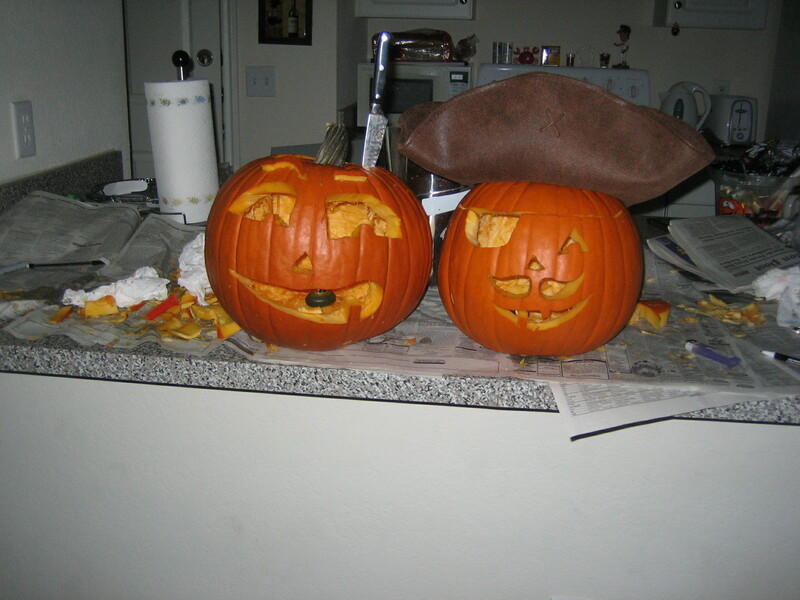 Whatever the situation, we carve our pumpkins.